Off-Broadway Week is Coming Soon to a Theatre Near You! Home » Spotlights » Off-Broadway Week is Coming Soon to a Theatre Near You! Off-Broadway Week WINTER 2019 is Here! New York City (February 10, 2019) —NYC Off-Broadway Week is here and New York Event Planners will be pleasantly surprised that they are offering 2-for-1 tickets to the public. This year New Yorkers will be celebrating the 10th anniversary of Off-Broadway Week in New York, which is the very popular biannual two-week program that local theater goers and tourists look forward to each year. New York Event Planners, locals, and visitors are encouraged to take the opportunity to experience this theater movement that will include 34 exceptional Off-Broadway productions, which includes 14 new participants (new productions are starred below) at an extremely reasonable price. NYC Off-Broadway Week Winter 2019 will include musical revivals, enduring classics, family-friendly plays, celebrity comedians, magic shows, and original productions. All participating Off-Broadway shows are subject to availability. Blackout dates may be applicable. NYC Off-Broadway Week is produced by NYC & Company in collaboration with MasterCard and The Off-Broadway League. NYC Off-Broadway Week will be marketed through exclusive content by nycgo.com, outside third-party media in the five boroughs, digital marketing and through an outpour of social media posts via @nycgo. You can follow social media feeds by searching the hashtag #NYCOffBroadwayWeek. Since its inception in 2009, there have been over 600 Off-Broadway productions who have participated in the celebrated NYC Off-Broadway Week. The theater program has also generated well over $3 million in revenue over the years where over 85,000 tickets have been sold. The Off-Broadway League has been around since 1959 and was launched to foster theatrical productions that are produced in Off-Broadway theatres (productions are held in Manhattan venues that can house anywhere from 100–499 guests). The Off-Broadway League contributes in the voluntary exchange of data among its members and serves as a collective voice of its membership to pursue these goals. In more recent years, the League has expanded to represent an average of 150 individual members and theatres and approximately 100 non-for-profit and commercial productions are delivered per season. To join the league, click here. The Event Planner Expo is New York City's largest and most exciting showcase for the events and hospitality industry. It is a must attend event for all event planning professionals and corporate decision makers who are looking to book events in the coming year. The Event Planner Expo connects corporate and independent event planners with key decision makers, vendors, venues, and top hospitality professionals. Attendees and exhibitors alike build strategic partnerships, get inspired by the latest trends and close deals for the coming year. Do you know of an upcoming event that should be highlighted on our site? If you manage or own a venue in New York that has an upcoming event you’d like spotlighted on our blog, please feel free to contact us. 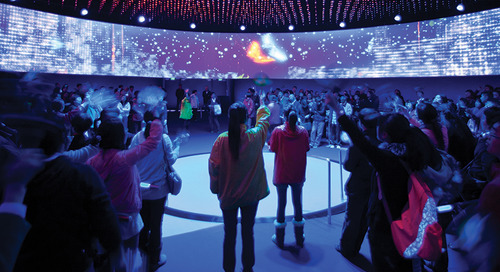 Businesses are increasingly requesting experiential event production services from the top event planning companies in New York, and for good reason.